A Nigerian Pastor, Rev. 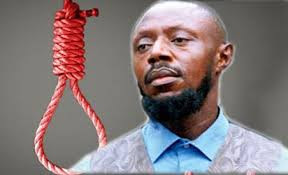 King (General Overseer of Christian Praying Assembly Church) was sentenced to death for killing one of his members in 2006. Rev. Chukwuemeka Ezeugo (A.K.A Rev. King) accused some of his church members of fornication, and went ahead to pour petrol on them and set them ablaze. The victims were 6 in number; 5 were able to escape with major burns, but one Ann Uzoh lost her life in the sad ordeal. 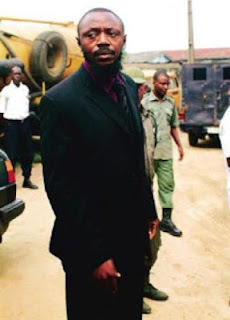 The Lagos High Court found him guilty of the crime in 2007, and sentenced him death by hanging. His lawyers took the case to the Supreme Court and he lost there too, on Friday 26th February, 2016. According to punchng.com some of King's church members are right now enraged, and have vowed to deal with the innocent residence of Ajao Estate (Lagos), where King's church is/was located. That is funny, but what is funnier is that some Nigerians online that have no affiliation with King (apart from coming from the same region of the country as him) are also kicking against the death sentence. Read some of their words from a post on Nairaland.com below. "God said we should not judge, "Do my prophet no harm" let Nigerian government leave everything for God (Judge) we don't know where our problems are coming from. Jesus bu Eze." "As far as religion is concerned, Igbos are the least gullible people. No Igbo takes religion to the extreme like Hausa and Yoruba do. but yoloba pastors who commit similar crimes are instead revered and hailed by their kinsmen as 'Daddy' even Tb Joshua who was caught on tape trying to cover the death of close to 100 members of his church has not been touched. Adeboye, Kumuyi and co are just like revd king but are feigning saintly men. If tb Joshua was Igbo he would be in jail by now. Summary: Igbos expose their criminal pastors, yolobas cover and worship theirs. Killing revd king may be justice but leaving his yoloba mates is injustice because equality is equity." they should leave the man of God alone." "So someone asked that reverend king be freed? So what? What is wrong with that? When did it become an Igbo thing? Someone was being served by a naked maiden: and you are foaming in the mouth. Go and read the rotten and lascivious story of Jesus of Oyingbo and you will know that Igbudu is still a learner." King so much brainwashed his followers that the naked members of his church used to serve him with no clothes on (stack naked), but that is not as disturbing as these comments I have posted above. Because this people are meant to be the learned youth of the society.